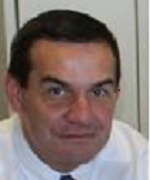 Hervé Gilibert has started his professional career in 1989, as design engineer on Flight Control Systems of ballistic missiles, for Aerospatiale in Les Mureaux (France). He moved to Advanced Studies on Defense Systems and took the lead of the Advanced Projects team of Aerospatiale Espace & Défense in 1995. Appointed in 1998 as programme manager of the Industrial Architect team in place for the upgrades of the French Air Force Command and Control System, he conducted this programme within EADS Defense Systems, up to restructuring the industrial organisation into a unique Prime Contractor, that merged EADS and Thales in a joint company. In 2002, he joined back the Space sector, by taking the lead of the Industrial Architect team for Ariane 5 programme, within Astrium Space Transportation. Appointed as Head of Ariane 5 Development Programmes in 2003 after the failure of Ariane 5 ECA maiden flight, he has conducted the team that managed the Return to Flight programme until 2006, and then the complementary developments performed on various versions of Ariane 5, to adapt it to specific missions (e.g. ATV) or to increase its payload capacity by 1 ton. At the beginning of 2011, he has been appointed Chief Technical Officer and Chief Quality Officer (CTO & CQO) for Astrium Space Transportation. In 2014, he took in addition the role of Head of Operations for Space Transportation, before being nominated as Head of Engineering for the newly created Space Systems Business Line in Airbus Defence & Space. End of 2014, at the time of the creation of the Joint Venture between Airbus Group and Safran Group for launchers business, he has been appointed Chief Technical Officer and Quality for that company, named ArianeGroup.